If current trends continue, then in 25 years, most countries will be beholden to China. Some because they will be financially indebted – today’s Greece, Portugal and Spain, others because their economic and industrial well being would not have been achieved without Chinese injection of capital or engineering and construction – many African (trade increased by 10 times in a decade to $100bn; most of it in infrastructure projects which has a multiplier effect on economies; eg a 900 mile railway renovation project in Angola) and increasingly Latin America (see sidebar); and some central Asian nations. Yet others because China treated them as equals and traded with them without strings when most Western nations looked upon them as pariahs – Burma, Iran, North Korea and Zimbabwe to name but a few. Just past a port where workers are building a two-mile-long pier to accommodate huge vessels known as Chinamaxes that will transport iron ore for China’s ravenous steel industry, past berths for tankers to lug oil to Beijing, a city of factories is sprouting on an island almost twice the size of Manhattan. Many of the structures will be built with Chinese investment: a steel mill, a shipyard, an automobile plant, a factory to manufacture oil and gas equipment. Starting last year, China became Brazil’s biggest trading partner, replacing the United States. Another set of nations will be indirectly grateful because China paved the way for contract manufacturing, and as the so-called ‘China price’ rises steadily (see sidebar) – wages have increased by up to 30% in the past few years, especially in large factories aimed at mass production’ and the yuan keeps appreciating – and Chinese factories move up the quality chain, these nations start to become the factories of the world – countries such as Indonesia, Malaysia, Philippines Vietnam, Thailand, Sri Lanka, Turkey and Mexico – as also some ex-Soviet satellites in eastern Europe. This is already happening for certain goods such as textile goods and low-end electronics. China will likely see “strong” increases in salaries in the five years through 2015 as the nation’s supply of labor dwindles and consumers begin to spend more and save less, Credit Suisse Group AG said in a report. Wages may increase to be equal to 62 percent of China’s gross domestic product by 2015 from 50.5 percent last year, a team of Credit Suisse analysts led by Vincent Chan and Peggy Chan wrote in a report. China’s leaders said last month that boosting incomes is a major task for the nation in its 12th Five-Year Plan (2011-2015). What is not commonly known, according to HE Liu Xiaoming, Chinese ambassador to Great Britain, is that China is the largest peacekeeping troop contributor of the UN Security Council, having sent c10,000 peacekeeping personnel on 24 UN missions; that, in addition to trade-aid support to 69 developing countries, it has also sent medical teams of 21,000 doctors and nurses treating 260 million patients in 69. 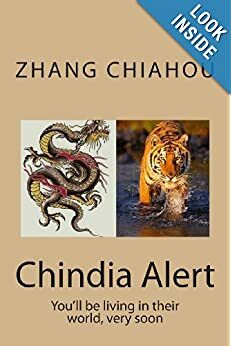 Our perception is that there will be four countries resentful of China’s achievements and standing: the USA because of it losing its position as Number 1, either by 2036 or not long after; India, because of its rivalry for the top rank within the 21st century as well as a not quite resolved border dispute; Japan due to long-standing historical envy and enmity; and finally Russia who may be tempted to hark back to the Stalin-Mao era when China was the follower and Russia the leader. However, the reality of China looms large. Oleg Deripaska who runs Rusal the world’s biggest aluminium group in June 2011 said he is planning to invest billions of dollars in Siberian hydroelectric plants to supply northern China with power. It is not an altruistic plan but rather one of creating mutual benefit. There are also potential issues with some of its neighbours due to either diversion of water, such as with Burma and India, or due to contested seas for either fishing or mineral extraction reasons. More recently, large tracts of arable land in Africa are being acquired by foreign firms including the Chinese. Most of the land will be used to grow crops. But some are earmarked for biofuel rather than human consumption. This has both a positive and negative effect. Positive as the investment and yield are likely to be substantially higher. Negative, as the produce is more than likely to go abroad, leaving Africans even shorter of food than ever. Land is being bought elsewhere, such as in Australia and South America; and large tracts of farmland is being leased in Ukraine. Tom Friedman, NY Times, author of The World is Flat, is supposed to have said: One of the most unsettling things about the Chinese is not their communism but their capitalism. In the view of Bill Emmott, ex-editor of The Economist (1993-2006), there will be, hopefully, a three-way balance of power. He sees great parallels between China of recent decades and Japan from the Meiji Restoration to modern times. However, he hopes that the military belligerence of the Japanese during that period will not be repeated by the Chinese, not least (according to Martin Jacques, the author of ‘When China Rules the World‘) because of the invisible but real resumption of a tributary state system with China in the middle – hence Middle Kingdom surrounded by a host of sovereign states paying tribute to China. Nevertheless, Emmott worries that Tibet may prove to be the flash point between China and India. Additionally, apart from any border dispute, there is an inevitability about water dispute. Earlier, we mentioned China’s plans to divert water from its wet south to the dry north along three canals. The western most starts in Tibet and if implemented could have severe consequences for India as one of the rivers to be diverted (40 billion cubic metres a year), the Yaluzangbu, is also one of the main sources of the Brahmaputra a main tributary of the Ganges. the Western approach to personal and national wellbeing through debt financing versus the Chinese (and Indian) propensity to save and spend from savings. the Western attitude to children as creatures to be pampered and who hanker for instant fame and fortune in entertainment or sport versus the Chinese (and Indian) attitude that children must be educated and steered to seek meaningful and worthwhile careers. the Western attitude to individual human rights often to the disbenefit of the greater whole – which we see in the UK in the overly ‘liberal’ interpretation of the European Human Rights legislation versus the Chinese attitude that the majority needs to be protected, sometimes at the cost of the minority. Will China emerge as the dominant force of the 21st century? The debate on the former Middle Kingdom\’s global position has been opened up again by leading China commentator Jonathan Fenby. His new book, Will China Dominate the 21st Century?, which is published in the US this month and worldwide in March, concludes the country\’s domestic challenges such as reliance on state investment and environmental concerns will divert it from being the leading actor on the world stage. In this special edition, we not only debate the issues raised by Fenby but present again the views and opinions on China of the leading thinkers, authors and academics who have appeared in the China Daily European Weekly over the past year. Our Cover Story and Last Word profile subjects have included the foremost China commentators from around the world and today we are giving them another opportunity to stake out their latest positions. Fenby\’s latest book deals with perhaps the biggest question of all as to China\’s future role in the world. He argues that we are unlikely to move from a world dominated by the United States – as was the case after the collapse of the Soviet Union in 1990 – to one dominated by China. He believes that by the end of the century, there will be a greater sharing of power with Europe, India, an emergent Russia and new players like Indonesia exerting greater influence. He makes the case also that China will be held back – at least for the next few decades – by economic issues relating to the weakness of its private sector, underdeveloped banking sector and its inability to innovate as well as management skill gaps. 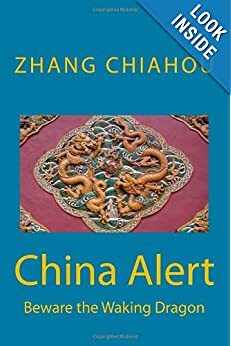 The book is the latest of a new genre of China\’s books that presents a more nuanced picture of China\’s strength. It follows on the heels of US Sinologist David Shambaugh\’s China Goes Global: The Partial Power and Timothy Beardson\’s Stumbling Giant: The Threats to China\’s Future. This contrasts with perhaps more heady titles that appeared just after the Beijing Olympics, including Martin Jacques\’s highly acclaimed When China Rules the World: The Rise of the Middle Kingdom and the End of the Western World, which has now sold more than 350,000 copies worldwide. Rana Mitter, director-designate of Oxford University\’s new China Centre, believes Fenby reflects a more realistic perspective of China that is now emerging. \”We are now in an era in which people are writing forward projections about China based on the reality that the supercharged economic growth of the last decade is behind us.